1. In the bowl of a food processor**, combine flour, sugar and salt. Add butter and pulse until the mixture has a sandy texture. Add orange juice and continue to pulse until mixture starts to form little balls. If it is still dry, add cold water in 1/2 tablespoon increments until the dough comes together. 2. Scoop dough out onto a clean surface and gently form the dough into two round discs. Wrap these discs and place in the fridge to rest for 1/2 an hour. Preheat the oven to 200C (400F) and set aside two 12 hole mini tart/muffin trays. 3. Once the dough has chilled, roll the pastry out very thinly and using a round cookie cutter which is roughly the same size as the holes of your tray, cut out circles and press into each hole of the tray. 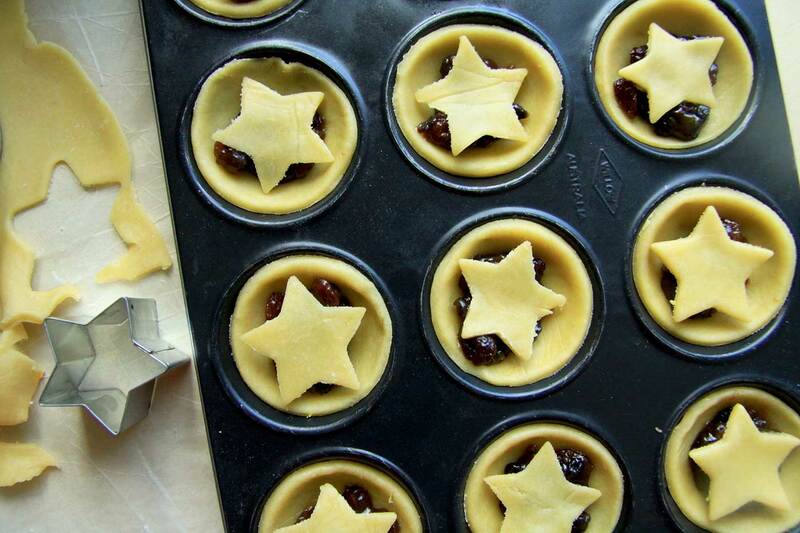 Fill each pie with 1 small teaspoon of mincemeat. 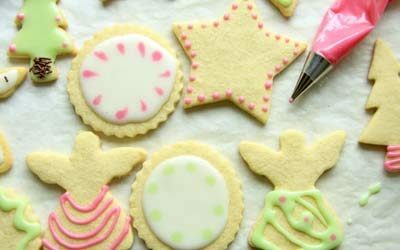 Pick up the pastry scraps, form into a ball and roll out again and cut star shapes using a small star shaped cookie cutter. 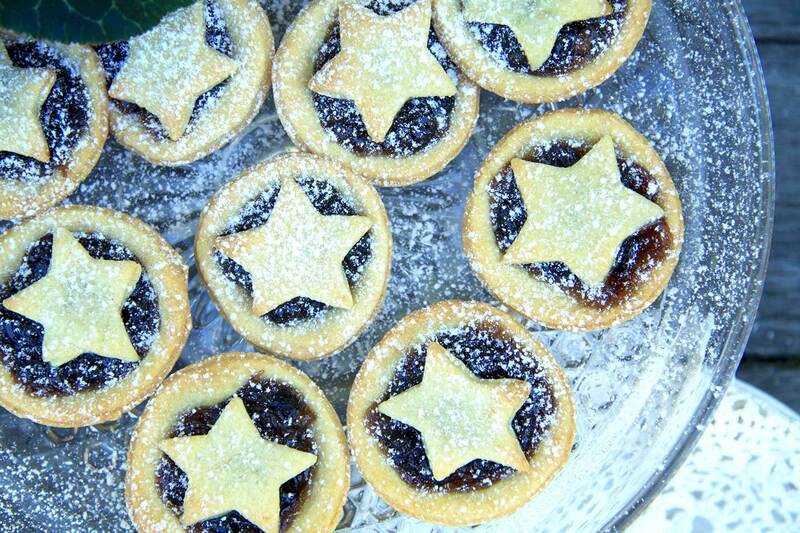 Place the stars on top of the fruit mince and bake for 10-15 minutes or until golden brown. 4. Leave to cool in tray for 5 minutes before removing to a cooling rack. 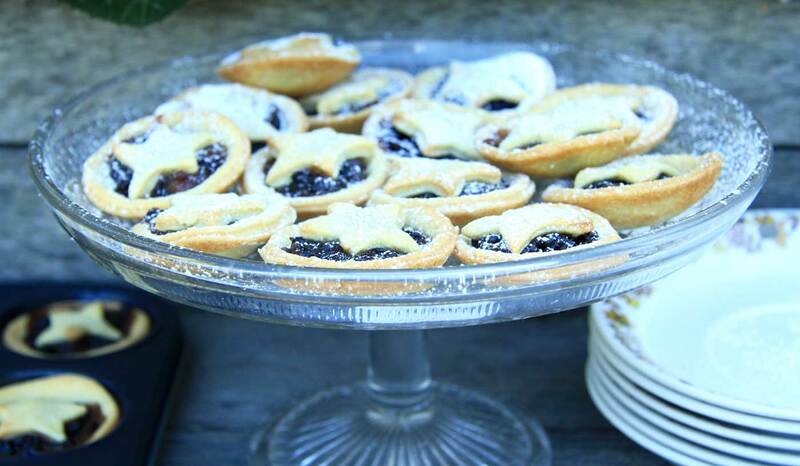 Sprinkle icing sugar over the pies using a small sieve or tea strainer and serve. Repeat with remaining pastry and mincemeat until finished. *If you are using salted butter, omit the salt. 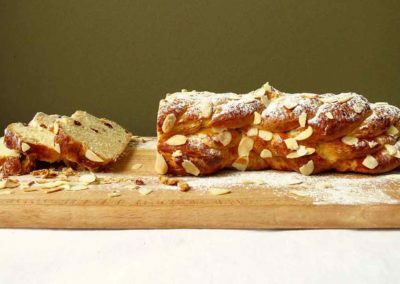 ** Alternatively, add all ingredients in a large bowl and rub the butter into the flour mixture with two knives, a pastry cutter or your hands. Mix in orange juice and water (if needed). 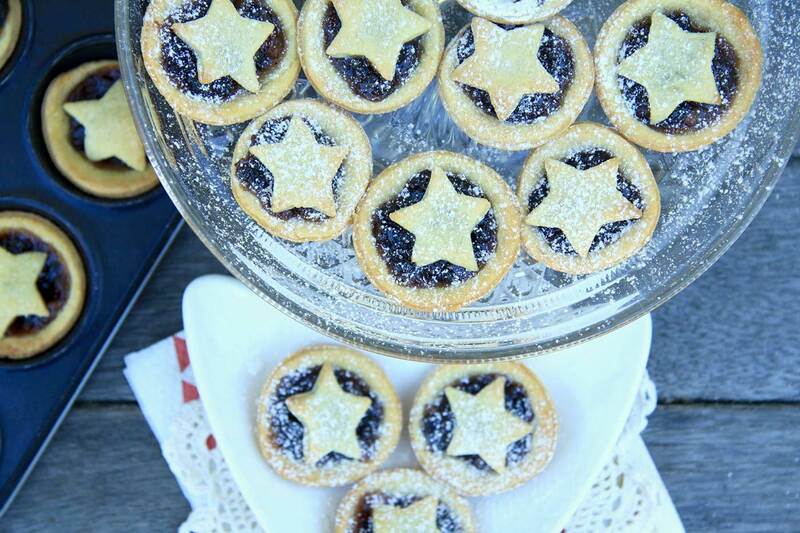 Delicious fruit mince pies made from short pastry which is flavoured with orange juice. 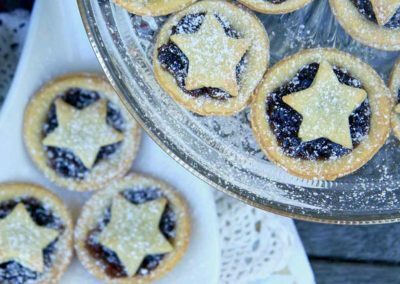 These star topped Christmas mince pies are made from an easy homemade short pastry which is deliciously tender and light and sweetened with sugar and orange juice. The pastry casings are filled with fruit mincemeat and topped with a pastry star – it’s starting to feel a lot like Christmas… December is here. Can you believe it? What does this month mean for you? For some, it doesn’t mean much or simply that the year is drawing to an end, for others it means stress/Christmas/family/present buying. For me? 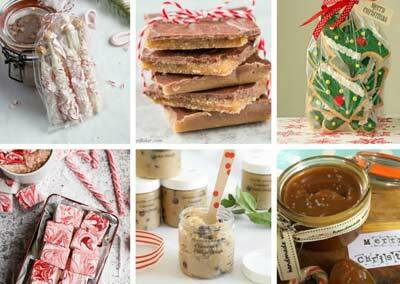 It means time to start baking Christmas mince pies. Every year my mum makes 100’s of star topped Christmas mince pies to share with visitors, friends and family and every year they get devoured. 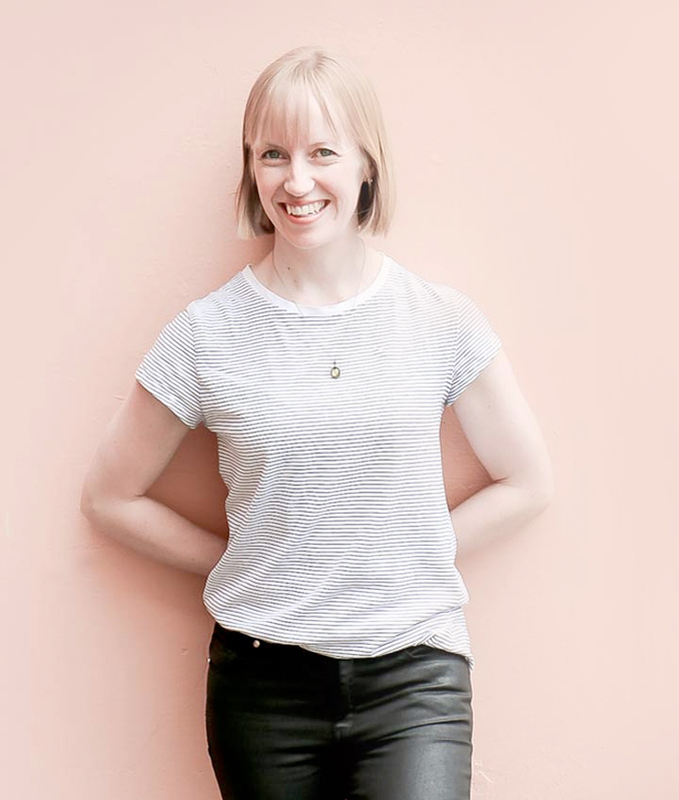 But this year she has passed the duty on to me (eeek). 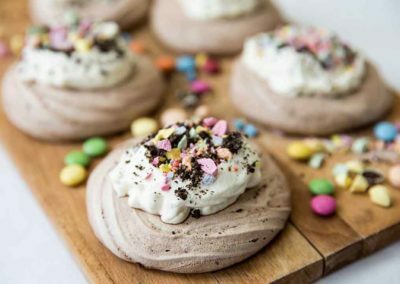 So far I have made two batches of the recipe below and they have already all been eaten, so it looks like I will need to replenish the stash asap. 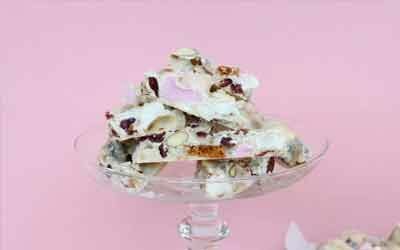 Does you have a favourite baked good that you like to bake each year? Whilst the first is probably the most popular and no doubt easiest, I like to feel like I’ve put at least a little effort into making them, so I go with option number 2 – I make the pastry and buy the fruit mince. Number 1 just seems too easy, and you may as well just buy the pies ready made. Number 3 would be the most satisfying for sure and would probably taste the best too. It’s just a matter or collecting all the ingredients. If you live in a country where you can’t buy mincemeat, try making your own with this super quick to make recipe. If you are not a pastry making fan, don’t worry I understand. I didn’t used to be either. This post will help you conquer any fears and will give you all the tools you need to know. Preparing the pastry for these pies takes less time then waiting for your bought frozen pastry to thaw out. All you need to do is combine flour, sugar, butter and some orange juice in a food processor and blitz until it is combined – easy! The flavour of the orange in this pastry complements the spices and fruit mince mixture beautifully. If you’re pressed for time or you really, really don’t want to make your own pastry then it’s okay. I won’t judge 😊.